Payments to HEI’s top five elite members are skyrocketing. Three dozen legislators have introduced 100 energy bills for this January-May 2012 legislative session. The Governor is still pushing Big Wind and the inter-island cable. The Legislature will debate giving the PUC “clear regulatory oversight of the State's [electric] grids” and “the implementation of formal electric reliability standards to govern all segments of the electric power system.” The Public Utilities Commission has created a Reliability Standards Working Group consisting of two dozen energy stakeholders which has split into two major factions. All in all, 2012 could be the transitional year in the fight to wean ourselves off our addiction to fossil fuel. We need to make sure that we agree on the destination or all might be lost. Statewide the rates paid by ratepayers on each island may be levelized. Moloka`i and O`ahu ratepayers may wind up paying the same rate. However, these rates will be higher that what is paid today. They are going up. What can be done about it? The rates will be determined by the energy decisions we make, or the energy decisions we leave to others to make in our name. This year the Legislature will wrestle with the high and rising cost of electricity; the past controversy over geothermal; the current controversy regarding inter-island high-voltage transmission lines & who is charged with maintaining grid reliability; and the future fight over smart grids which will cost everyone a lot of money and then even more money. 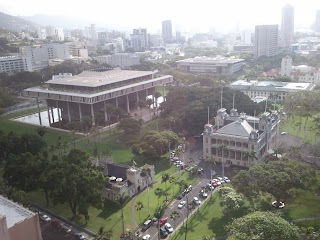 This year Hawai`i Senators and Representatives have introduced about 100 bills which focus on energy policy. The Governor submits identical bills to the House Speaker and the Senate President. I counted each Governor pair as one bill. I searched titles and bill descriptions for keywords rather than searching the entire content of the proposed bills. The keywords I used were electricity, energy, utility, utilities, climate, geothermal, biofuel, and ethanol. There are 100 bills that have been submitted! Analyzing only the lead authors for each bill I found that about 17 Senators and 21 Representatives have drafted energy bills. Hermina “Mina” Morita was elected to the State House in 1996. She wanted to Chair the Water and Land Committee but wound up as Chair of the Energy & Environmental Protection Committee. For over a decade Mina made energy policy and other members of the Legislature deferred to her. 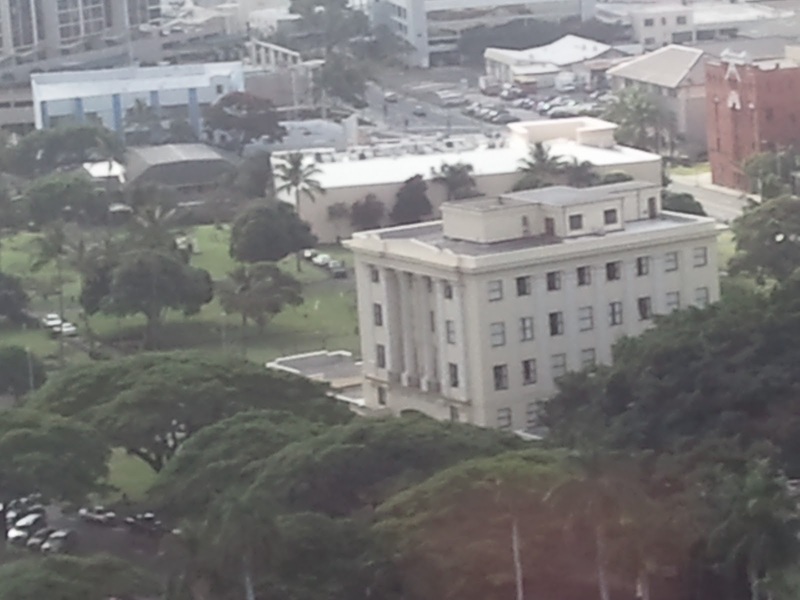 Last March Mina was appointed by Governor Neil Abercrombie to chair the 3-member Public Utilities Commission. That left an energy policy void in the Legislature. While many legislators began increasing their energy advocacy, three key legislators stepped forward with competing agendas. Representative Denny Coffman chairs the House Energy & Environmental Protection Committee and has introduced about 15 energy bills. He favors requiring the utility to become a transmission company, selling off its generators, and thus becoming truly agnostic about which generators to deploy. Denny favors focusing on the big slice of renewable energy, that is, emphasizing baseload geothermal as opposed to intermittent wind and solar. Senator Mike Gabbard, Chair of the Senate Energy and Environment Committee, has introduced about 10 energy bills. He supports the inter-island cable, and greater transparency. Senator Roselyn Baker, Chair of the Senate Commerce and Consumer Protection Committee, has introduced about 5 energy bills. She favors re-organizing and expanding the PUC and the Consumer Advocate’s office. Three other legislators have each introduced about 5 energy bills. Senator Solomon is focusing on geothermal. Representative Souki is focusing on repealing ethanol in gasoline blending requirements. Representative Thielen is focusing on solar and climate change. The Governor has a wide ranging agenda including believing that Big Wind (several hundred wind towers on Lana`i and Moloka`i, each of them 400-500 foot tall) and an inter-island undersea high voltage transmissine line are necessary to achieve state energy goals. This year the Public Utilities Commission is seeking to find ways to maximize the penetration of renewable energy by transforming the electric grid. Gone are the days where the Hawaii Public Utilities Commission (PUC) rubber-stamped utility proposals. In 1996 Life of the Land jumped head-first into energy regulatory policy. Over the past 15 years Life of the Land has been admitted as a party in 2-3 dozen PUC regulatory dockets. Now many competing interests -- including DBEDT, DCCA, the four counties, energy stakeholders, renewable energy companies, Representative Denny Coffman, Senator Roselyn Baker and Senator Mike Gabbard -- are pushing and pulling on the PUC to shape Hawai`i’s future in their image. Caught within this web is the PUC chaired by Mina Morita. The trillion dollar per year energy industry affects every aspect of society including the Fukushima nuclear disaster, the Deepwater Horizon explosion, several Middle East wars, air pollution, allergies, balance of trade, climate change, water use, endangered species and environmental justice. During the past few years the PUC has gone from a little known entity to a central role in shaping Hawai`i’s future. Hawai`i must make some very important choices about its future, ranging from smart grids to decentalized power. Three major issues before the PUC are the Smart Grid, Reliability Standards, and the Inter-island cable. Every ratepayer will be directly and substantailly impacted by the choices made. In late 2008 the HECO Companies (HECO, MECO, HELCO) filed an application with the Hawai`i Public Utilities Commission (PUC) to spend $65M for smart meters. (HECO: $41M; MECO $11M; HELCO $13M). Life of the Land and the Hawaii Renewable Energy Alliance filed Motion to Intervene in the regulatory proceedings. Over HECO objections that they would delay the process, the PUC admitted LOL and HREA as parties. HECO then repeatedly asked the PUC for a series of delays. On July 6, 2010, the PUC dismissed the application without prejudice, and closed the docket. HECO has since bypassed the normal PUC process to team up with multinational corporations and foreign interests to test Smart Grid technologies. The essence of the Smart Grid argument is that -- in order to connect large renewable energy systems onto the grid -- the grid must be modernized. The creation of the Smart Grid will cost billions of dollars and this cost will not count in any financial assessment regarding whether the PUC should approve power purchase contracts between the utility and renewable energy companies. Thus ratepayers will pay HECO to buy renewable energy from renewable energy companies and will pay HECO lots of money to upgrade the grid. This dual approach will significantly raise eveyone’s electric rates. The utility will then turn around and launch an expensive PR campaign to say that rates are being raised due to the high and speculative cost of oil. This PR campaign started in the year 2011 when the utility sought to stick in to the union through proposed pay cuts – while financially rewarding their elite management team with pay hikes, short and long term incentive hikes and special bonuses. GE and HECO are experimenting with a Smart Grid concept that is proprietary. That is to say, Hawai`i ratepayers will foot the bill for a project that they can not review and which is being implemented outside of the normal PUC review process. The reason that the utility is so hot on the Smart Grid approach is that they can continue with what they know. The 19th century model of centralized generation with long transmission lines can continue into the 21st century. In the 19th century that made some sense. There was an economy of scale in building large plants. Today -- with modern technology and 100,000’s of existing and underutilized flat roofs -- it may or may not continue to sense. Rather than evaluating the central station versus distributed generation models – the utility is racing ahead with the very costly central station solution. Central Station models reward multinational corporations. Decentralized approaches involve smaller companies and often create more jobs. Caught within this struggle is the PUC. Across the nation all but one PUC was created between 1907-21. They were established to protect incumbent privately-owned utilities from losing market share to municipally-owned utilities which were undercutting them by charging significantly lower rates for electricity. Here in Hawai`i in 1913 the Gas Company proposed competing head-to-head against HECO. HECO agreed to be regulated by the newly created PUC in exchange for being designated as a monopoly. Last summer the Hawai`i Public Utilities Commission establsihed the Reliability Standards Working Group to work on developing proposed reliability standards that would maximize the penetration of renewable energy systems onto the grid. The PUC designated some two dozen parties as members of this PUC surrogate group and were charged with developing reliability standards by the end of 2012. Ultimately the PUC would decide what to adopt as requirements. While each party has their own particular issues and concerns, they have formed two general factions. State government agencies are in both competing factions. The small, go slow, super cautious faction consists of HECO, MECO, HELCO and the Consumer Advocate (an entity that is located within the Department of Commerce and Consumer Affairs and which should be renamed the Utility Advocate). The renewable energy transformation will occur quicker if parties feel that for now, and in the future with different Commissioners and a different Governor, the PUC can be trusted with the important responsibility of ensuring reliability. This will depend on the expertise that the PUC develops, the people they hire, and the trust that develops between the PUC and other parties. One obvious change that will be debated by the Legislature this year is who is charged with maintaining the reliability of the grid. Across the nation electric reliability councils have the regulatory authority to oversee the grid. These councils are independent of electric utilities. 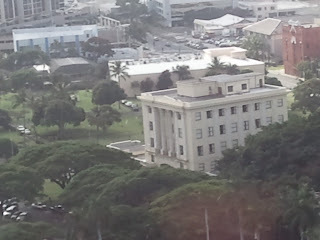 Only in Hawai`i does the responsibility for maintaining grid reliability belong to the host utility. Measures are bing proposed that would shift this responsibility from the utility to the PUC. One bill that would change this arrangement is HB 2525. Should have been a Commercial PACE in there.